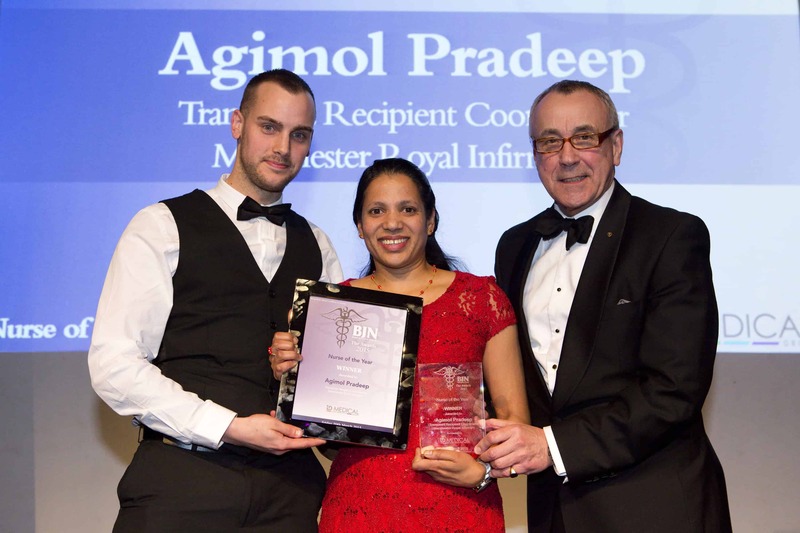 MRI Nurse, Agimol Pradeep has received the prestigious ‘Nurse of Year’ award at this year’s British Journal of Nursing awards. Agimol’s award success follows a five-year targeted education campaign which saw 3,000 South Asians sign up to be organ donors, potentially giving up to 25,000 people the life-saving transplant they need. Asian people are three to four times more likely to need a kidney transplant than the general population. National figures show that South Asians wait three times longer than white people due to difficulties in finding a successful match. Agimol has spoken at events and conferences across the country as part of her recent PhD study. She also takes time to work with community and religious leaders, GPs and intensive care units to introduce strategies to increase donation and educate Asian people about the benefits of organ donation and joining the donor register. Agimol has been assisted in her campaign by Muslim Imam, Siddiq Diwan from Central Manchester Hospitals’ Chaplaincy Team. Siddiq provided expert support for any religious concerns that members of the community might have. Further to her campaign to find organ donors, Agimol has also actively campaigned to find stem cell donors – a form of donation that anyone can do at any time by donating blood. She has recruited 800 people in the last 12 months whose donation will be used to treat South Asians suffering from blood cancers. “Being South Asian myself, I felt I could provide a trusted link to others, raise awareness and help to dispel some of the misunderstandings by talking face to face.